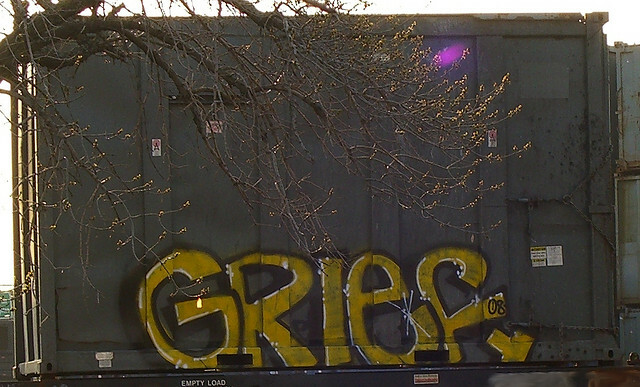 Collective grief is one of the most unique features of the digital age. In the pre-internet era you might have shed a tear with other television viewers, radio listeners or newspaper readers as the community came to terms with a tragic event, but ultimately it was a private moment. Nowadays when a tragic event occurs one of the first ways we identify that something awful has happened is the trending of a name on social media. Whenever the name of a prominent public figure starts trending you’d be forgiven for thinking “Oh no…I hope not.” Within seconds thousands of social media users are displaying open grief and distress, within minutes the opinion pieces are rolling in reflecting on what that particular tragedy means and within hours there are public figures, politicians and commentators calling for change. In the last few weeks Australians have seen quite a few examples of how this collective grief operates. On Sunday #LightTheDark trended across Australia as the community gathered at candlelight vigils for Reza Berati – the asylum seeker killed whilst under Australia’s care in Manus. Earlier in the day the public were shocked to hear of the passing of model and television presenter Charlotte Dawson with many social media users sharing their grief and shock and calling for better mental health support in the community. There’s the horrifying story of Luke Batty – the 11-year-old killed by his father at a local cricket ground which sparked a huge outpouring of grief and blanket media coverage for days or look back a bit further and there’s the story of murdered ABC staffer Jill Meagher which led to thousands marching on the streets of Melbourne. There’s a certain nastiness in attacking people in the midst of their grief and applying your own value judgements. Their grief is not about you. You are not the arbiter of other people’s grief. You are not the definitive judge of what grief or what level of grief is considered worthy or not. A tragedy with a celebrity will inevitably get more coverage and a higher level of collective grief from the community. More people will feel they “know” that person and have played a role in their lives however big or small. Even fictional grief is a very real and powerful emotional response. When the character Patrick died in Channel Ten’s ‘Offspring’ drama – the grief felt by viewers was very raw and real for many. It’s not up to you to judge, label or limit the grief that other people feel. Even if you can’t relate to it personally the emotions the community feels are very real. However it is valid to question the media values surrounding these events. The choices made by media outlets are certainly not above reproach. It is totally fair to question if a media outlet or social media user is exploiting a tragedy for personal gain or if they are consciously avoiding some tragedies for political or economic reasons. Absolutely criticise media outlets and social media users for that, but when you compare tragedies and assert value judgements about people’s grief you are denying them the opportunity to fully process something which is uniquely traumatic and distressing to them. This kind of value judgement and nastiness has no place. We all must get better at supporting each other in these times of collective grief. Traditional media have long held standards such as those promoted by Mindframe Media when it comes to reporting distressing and traumatic events and many social media users are now vigilant about sharing mental health support services, but these voices are too few. Aside from supporting positive regulatory options the least social media companies can do is provide users with accurate, regular and prominent mental health support information at times of high collective distress. We know they have the data of what their users are talking about – this is something they can do now to support the mental health of our community. As individuals we have a role to play too. We have a responsibility to be informed about the impact of our words and to do our best to support the mental health of those we interact with. Sometimes that involves being quiet, putting our personal judgements aside and letting people have their moment. Image sourced under Creative Commons from walknboston.